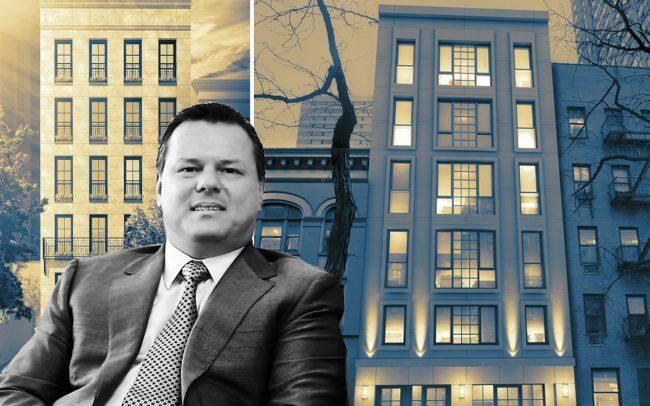 A real estate data provider appears to have bought two luxury condominium buildings that once belonged to convicted fraudster Michael D’Alessio. In February, Preferred Bank acquired the buildings — 184 East 64th Street and 227 East 67th Street — at bankruptcy auction for $17.5 million and $15 million, respectively. The lender initiated foreclosure proceedings on the properties last year. The bank turned around and sold the Upper East Side properties for a total of just over $38 million to California-based Continuum Analytics LLC, property records filed Friday show. The building at 184 East 64th Street traded for about $24.7 million, the other for $13.3 million. Messages left with Preferred Bank’s Nick Pi and Continuum weren’t immediately returned. Continuum, led by Deba Shyam, specializes in real estate data, providing metrics such as loan process data and distressed property data. D’Alessio, who was once president and CEO of Westchester-based development firm Michael Paul Enterprises, recently was sentenced to six years of prison after pleading guilty to defrauding investors in a $58 million Ponzi scheme. Michael Paul Enterprises and its broker Ryan Serhant at first hoped to sell the five units at 227 East 67th Street for $28.5 million. At D’Alessio’s 184 East 64th Street development, at one point five apartments there were on the market for a total of $42.5 million.